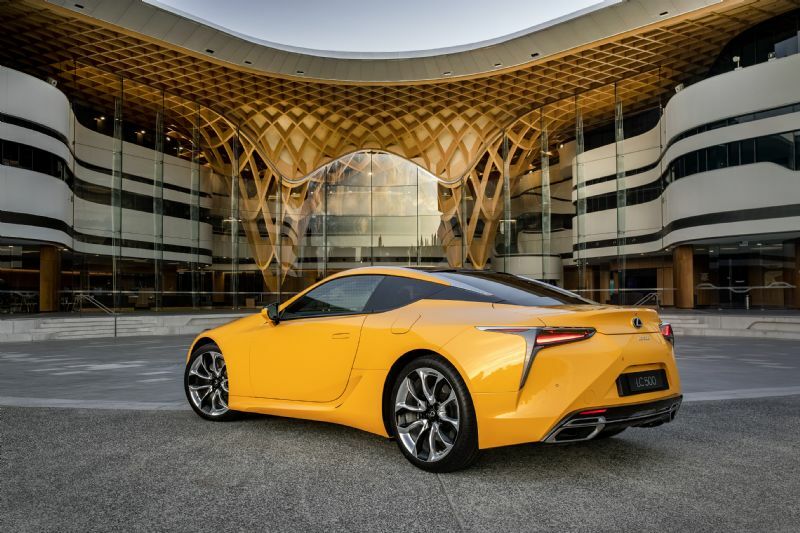 Lexus has revealed a dazzling yellow exterior and interior theme to distinguish exclusive new limited-edition versions of its LC flagship coupe in Australia. The latest luxury additions to the range sport vibrant Zinnia Yellow exterior paint matched with a bespoke luxury cabin featuring yellow Mikado Alcantara® door inserts. Lexus designers have used the same yellow shade for contrast stitching on the white semi-aniline leather-accented seats, instrument panel, steering wheel and centre console armrest. The limited-edition variants, available with the exhilarating performance of V8 petrol or self-charging hybrid powertrains, are based on the foremost LC coupe with enhancement pack. They benefit from an extra performance focus due to Lexus Dynamic Handling that comprises variable gear ratio steering and integrates front and rear steering. The system has been recalibrated to improve steering feel. An active rear spoiler deploys automatically at 80 km/h to manage airflow during performance driving. Other features include a Torsen®limited-slip differential, carbon-fibre roof, heated and ventilated 12-way power-adjustable sports front seats and series-branded carbon-fibre scuff plates. As with every LC coupe, the premium equipment list includes 21-inch forged alloy wheels, head-up display, Alcantara® headlining and 13-speaker Mark Levinson premium surround audio system. 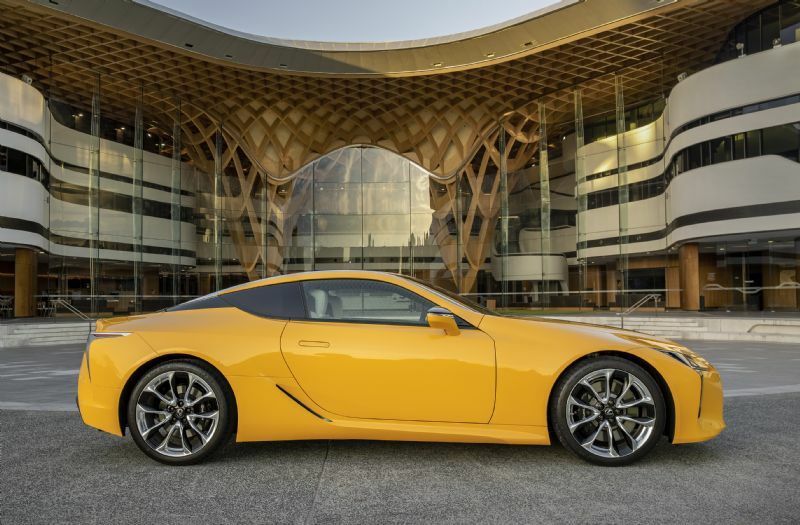 Lexus Australia’s chief executive Scott Thompson said the head-turning looks of the limited-edition LC were accentuated by advanced performance, agile handling and superb responsiveness. 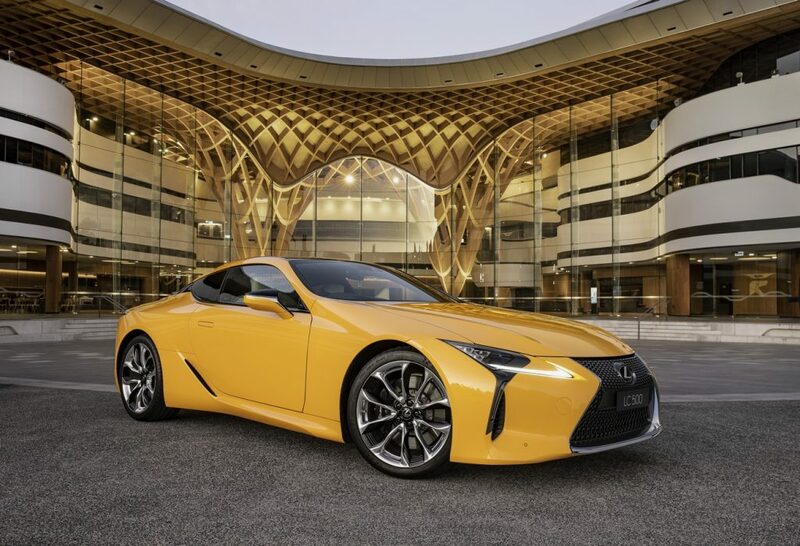 “The exquisite quality of the vibrant Zinnia Yellow paint finish shows off the LC’s award-winning styling to stunning effect,” Mr Thompson said. 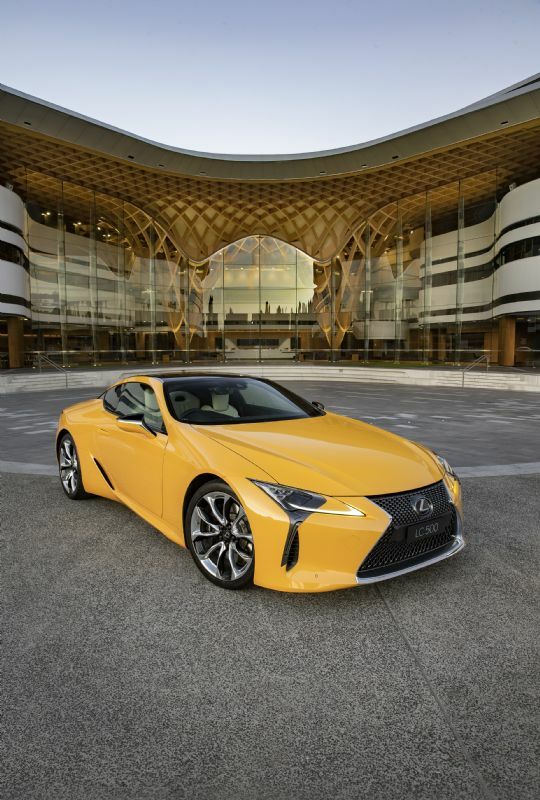 “Inside the hand-crafted cabin, warm yellow inserts and detail stitching exemplify the Takumi craftsmanship that is a distinguishing feature of Lexus luxury,” he said. Adopting incremental improvements across the LC range, Lexus has fine-tuned the powertrains for enhanced drivability and recalibrated the adaptive variable suspension for even greater ride comfort. Another welcome addition is wider availability of the Chrysalis Blue interior trim. Previously offered on the Morphic Blue limited-edition variants released earlier this year, the stunning colour scheme combines dynamic orange, blue and white hues. All versions of the LC are equipped with Lexus Safety System+, a collection of active safety features that can help the driver avoid an accident or help lessen the consequences of a collision. The system uses a camera and a millimetre-wave radar to monitor the road ahead for potential hazards and collision risks. This provides the LC with a pre-collision safety system which is designed to detect vehicles and pedestrians, all-speed adaptive cruise control, lane-keeping assist with lane departure warning and a sway warning function, and automatic high beam.